Can Starfish Make A Wish? 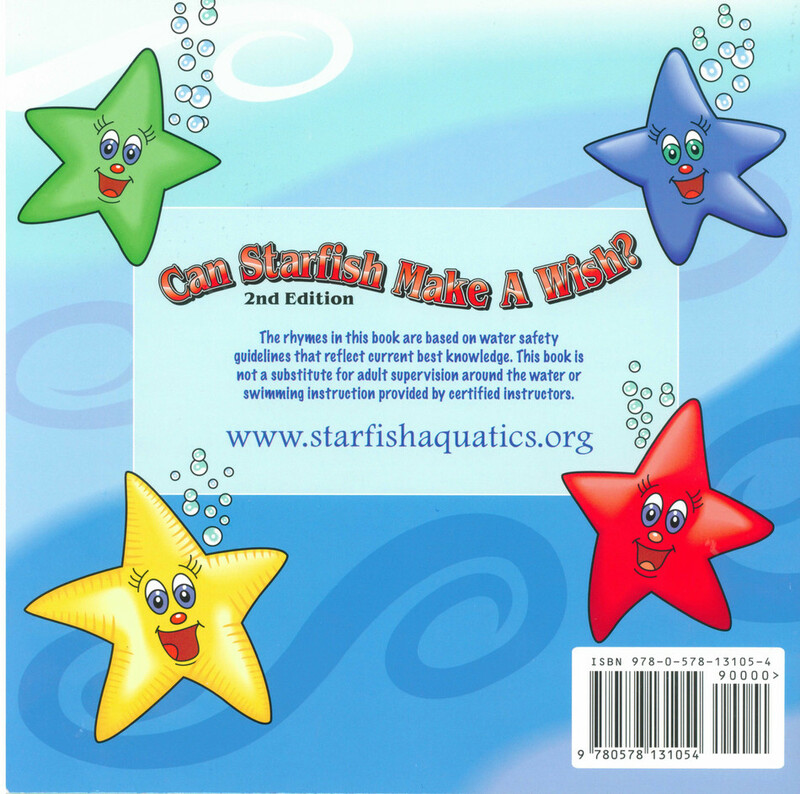 2nd Edition is an illustrated paperback children's book from the Starfish Aquatics Institute. This educational children's book includes 16 rhymes based on water safety guidelines, a great teaching tool for parents.